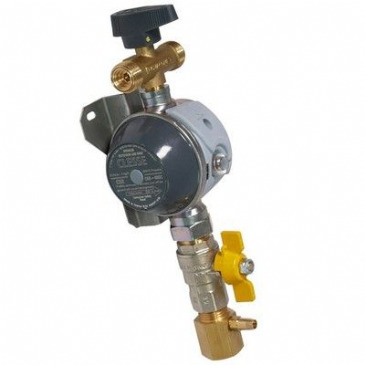 Manual change over kit, 4kg per hour supplied with pigtails and isolation valve. 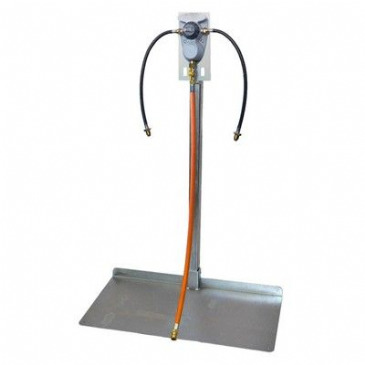 Suitable for upgrading Compact 800 or any other 2 cylinder installation to 4 cylinders. 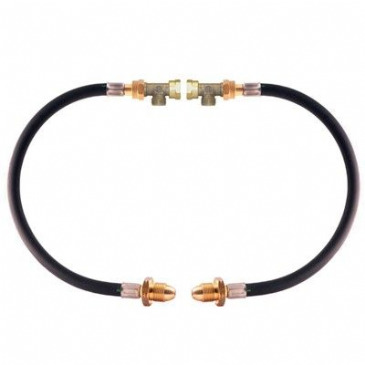 Can also be used as a hose replacement kit. Auto changeover kit 2 cylinder with ball valve with mounting bracket and pigtails, no OPSO with red clip on cover. IRISH SPEC. 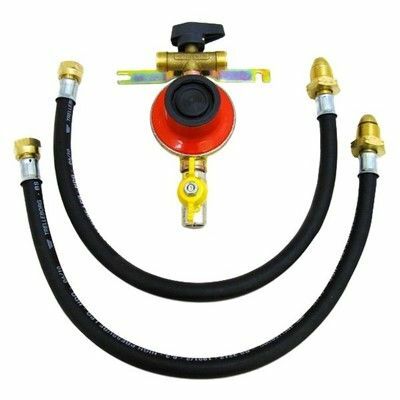 Compact 100, 2 Cylinder auto change over kit with isolation valve, pigtails and mounting plate, non OPSO, adjustable pressure output. 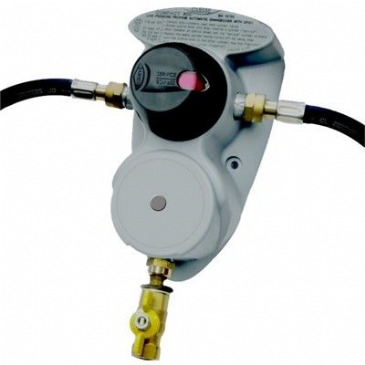 Compact 800, 2 Cylinder auto change over kit with isolation valve, pigtails and mounting plate, with OPSO. 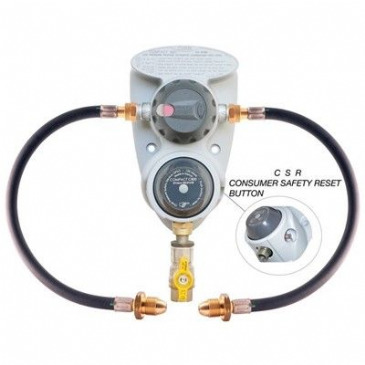 Push button reset and adjustable pressure output. 5kgh 70kW - 37mb. EN13786 and EN16129 compliant. 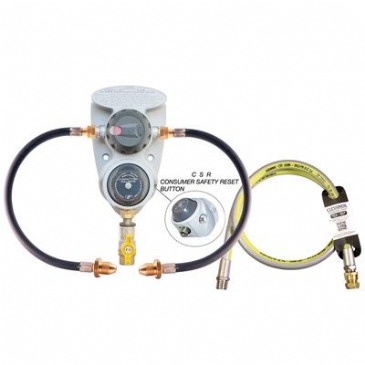 Compact 800, 4 Cylinder auto change over kit with isolation valve, pigtails and mounting plate, with OPSO. 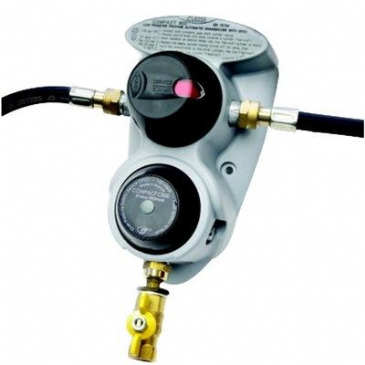 Push button reset and adjustable pressure output. 5kgh 70kW - 37mb. EN13786 and EN16129 compliant. 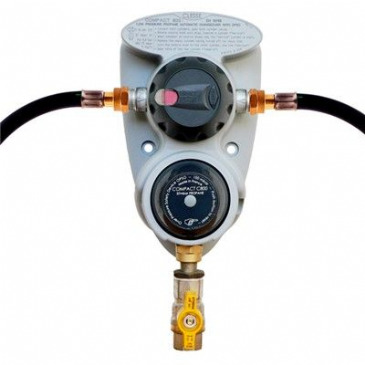 Propane 37mb, 4kg/h (55kW) manual changeover kit supplied with a directional control valve head to use a single cylinder either side of the regulator, includes test point and ball valve on the outlet. Supplied on a universal bracket for wall mounting with 2 cylinder connection pigtail.